She thanked her colleagues on both sides of the aisle for continuing to "fight the good fight" for Canadians. Understanding some might be upset by her decision to step back from federal politics, she encouraged others —especially those who feel underrepresented — to run for public office. "I will continue to push boundaries, dismantle the status quo and break glass ceilings, and I hope you will expect no less from me." Caesar-Chavannes had been a strong advocate for fighting the stigma around mental health. She was open about her own struggles with depression. She also was known for calling out people for offensive remarks, including now-leader of the People's Party of Canada Maxime Bernier. For months, the two were locked in a social media battle about identity politics. In the spring of 2018, Bernier tweeted that Caesar-Chavannes believes "the world revolves around" her "skin colour." That was in response to Caesar-Chavannes chiding him in an interview with the Globe and Mail. The feud began in March, when Bernier criticized the Liberal government's promotion of funding for "racialized Canadians" and said he thought the goal of anti-racism policy was to create a "colour-blind" society. 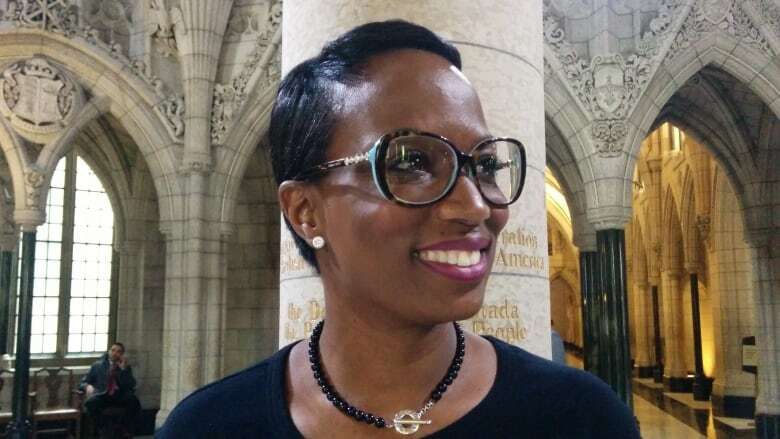 Caesar-Chavannes fired back, suggesting Bernier "do some research ... as to why stating colour blindness as a defence actually contributes to racism." "Please check your privilege and be quiet," she added — provoking Bernier to invoke "free speech." Elected in 2015, she served as the parliamentary secretary to the prime minister and to the minister of international development.